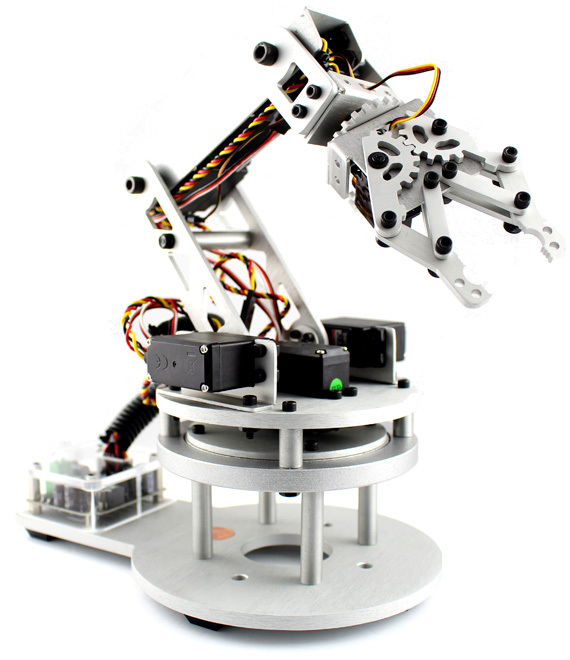 MandleBot is a robot arm made out of aluminum with a gripper. Its name comes from a contraction between words MANDIBLE and ROBOT. Easily dismantled with a few tools (included), the MandleBot can be re-assembled in just a few hours. 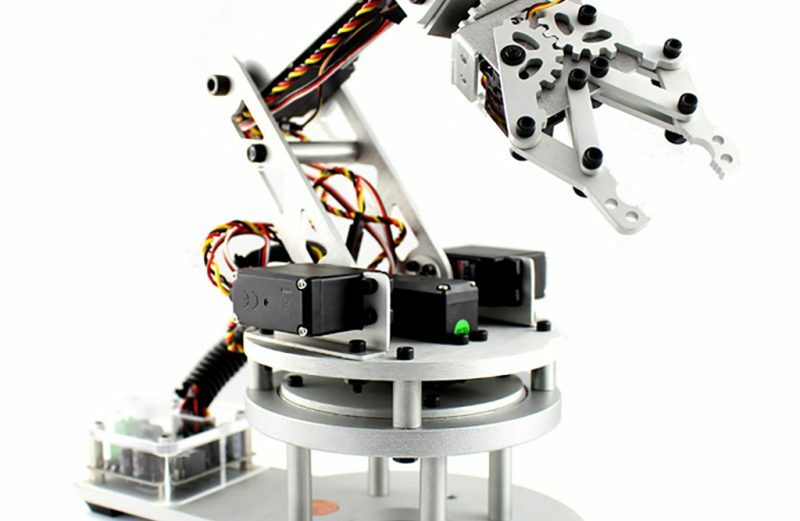 Constructed out of aluminum and using only top quality components, we want to offer fans of 7-77 years of age, a range of specialized robots that are realistic, solid and aesthetic . Designed and assembled in Canada, the MandleBot is accessible to the general public, the first in a new series. Inspired by NASA and sci-fi movies InnoTechnix wants to democratize access to robots, entertain fans of construction and technological games, to make young and old dream, and why not, create some kind of scientific or technological vocations among young people. 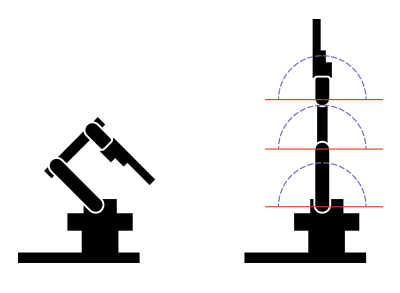 The MandleBot can be controlled manually or automatically by computer (Windows) from a USB port with software that we designed. Comes with drivers and software, just install the software and connecting the power cord and you’re ready to play! For geeks, we also provide API (available for Windows, OS X, Linux, Android, iOS and Windows CE) with full documentation (in English only) and code samples. In addition, updates and new features will be available on a regular basis. Yes we do create custom version of MandleBot, it’s in fact how we sell them the most. Contact us to see how we can customized a MandleBot to your needs.